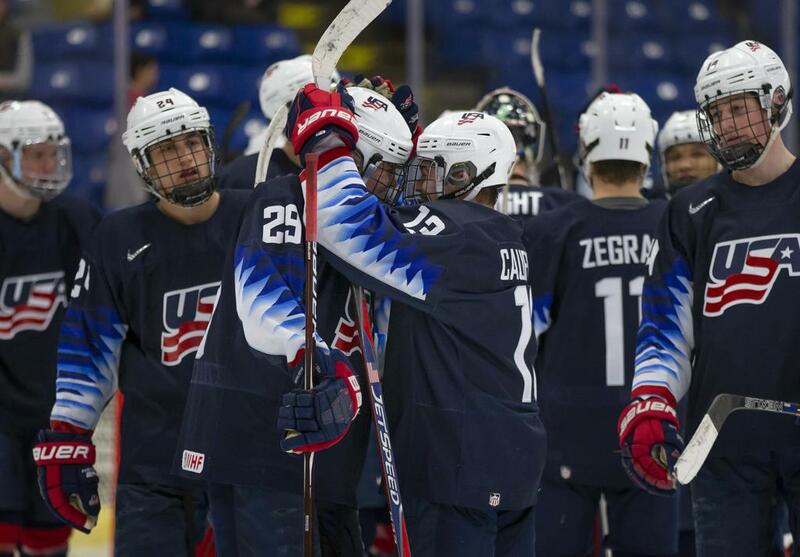 SOCHI, Russia — Alex Turcotte (Island Lake, Ill.) scored a pair of goals and Trevor Zegras (Bedford, N.Y.) added a third-period tally as the U.S. National Under-18 Team earned its first victory at the 2019 Under-18 Five Nations Tournament with a 3-2 win over Finland on Thursday at the Iceberg Skating Palace. 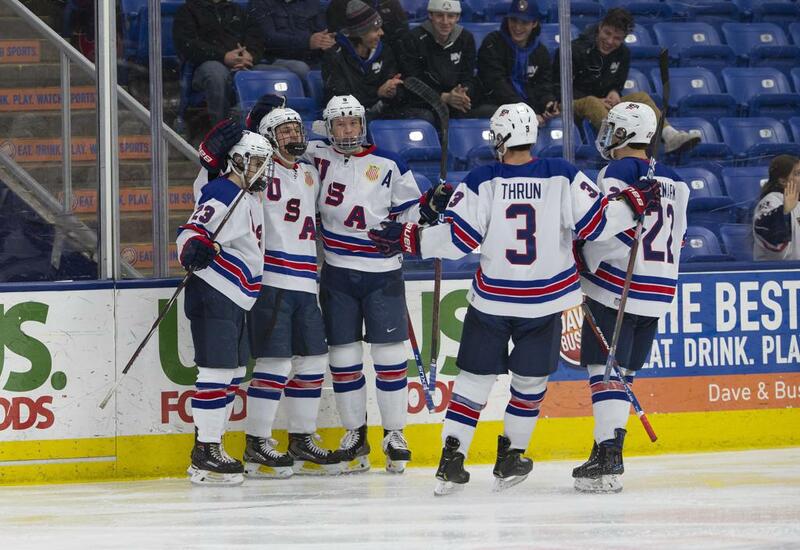 "Finland played a strong game, but we were up to the test," U.S. National Under-18 Team head coach John Wroblewski (Neenah, Wis.) said. "Our response to yesterday's disappointment was acceptable, but we still have to be better in some departments." Turcotte, whose wrist shot from the slot with 4 minutes, 59 seconds to play in the final frame resulted in the game-winner, holds a team-high three goals across the first two games of the tournament. Turcotte's first goal of the game, which came with less than one second to play in the first period, leveled the score after 20 minutes. Spencer Knight (Darien, Conn.) delivered a flurry of important stops in the second period to keep the game tied. Zegras, who tracked down a loose puck at the edge of the crease before he slotted it into the back of the net, gave the U18s the lead early in the final frame. It marked Zegras' second goal of the tournament. Finland responded with the extra attacker with 57 seconds to play in regulation, but Team USA staved off the late rush to seal the win. Knight stopped 35 of 37 shots to earn the victory. 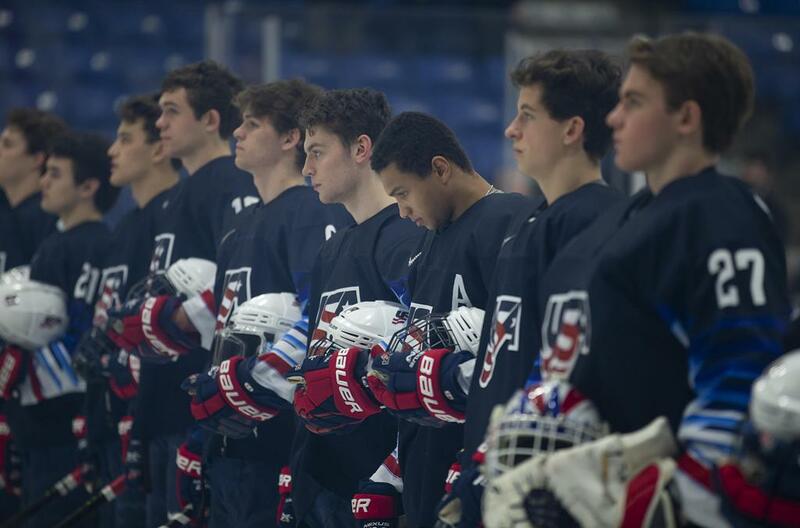 Team USA returns to the ice against the Czech Republic in its third game of the 2019 Under-18 Five Nations Tournament at 7 a.m. ET on Friday at the Iceberg Skating Palace. NOTES: The U18s went 0-for-5 on the power play and killed off 5-of-6 penalties ... Team USA outshot Finland by a 44-37 margin ... Follow @USAHockeyNTDP on Twitter for tournament updates and join the conversation on social media by using #5NationsU18 … John Wroblewski leads the U.S. National Under-18 Team along with associate coach Dan Hinote (Elk River, Minn.), intern assistant coach Kevin Lind (Homer Glen, Ill.) and goaltending coach Thomas Speer (Sancsville, Wis.).